What are the Be a Monk, Veda, and Sabbatical courses all about? Spend 7 days, 3 months, or 6 months at the magnificent Bhaktivedanta Manor – a spiritual sanctuary located in the Hertfordshire countryside – and take an adventure into the realm of spirituality, uncovering the mysteries of the spirit soul, the thought-provoking concept of karma, the mind-blowing experiences of reincarnation and much more. No amount of space travel can compare to the flight of your very own experience of your inner self. These courses will give you an opportunity to cut yourself off from everyday distractions and focus fully on spiritual practices. You will get to know yourself better spiritually, strengthen your mind and determination and, most importantly, have an amazing time with like-minded individuals! What do I learn in these courses? In the afternoons you will learn topics of philosophy like the soul, karma, reincarnation, and the practical application of ancient philosophy. There will also be sessions on yoga, cooking, martial arts (optional) and music. Delicious vegetarian meals, 3 times a day. In-depth study of various aspects of the philosophy and books on theology and philosophy, devotional practice, and Vaisnava culture and etiquette. Taking part in various programmes and teaching spiritual living to various groups. Opportunity to travel around the country and stay on longer after graduation. Greater absorption and experience of living in a spiritual community. In-depth study of certain books of the philosophy, such as the Bhagavad Gita, Nectar of Devotion, Nectar of Instruction and Sri Isopanisad, at the end of which you will get a Bhakti Shastri degree. 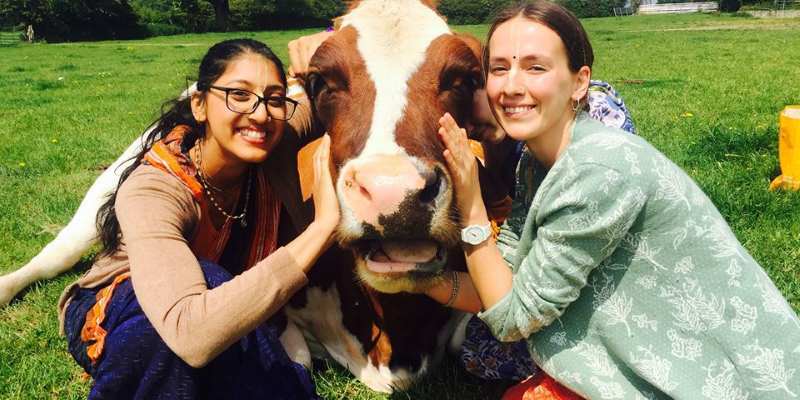 Spend 3 months in India travelling to various places of spiritual interest with like-minded individuals! 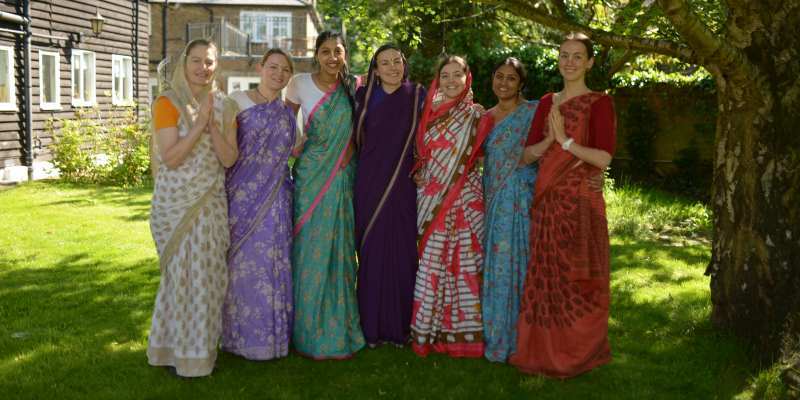 Opportunity to stay on and join the ashram and be part of the community upon graduation. Hmm, just a little bit. About £50 for the 7-day challenge, and maybe a bit more for the Veda course and the Sabbatical. But that’s peanuts for the rewards you get! And it all goes to charity. OK, sounds good – what’s the deal? Cool. Let us know you’re interested and we’ll get back to you with more information. Dates are listed on the form. Please select the ones that work for you. If you have any questions, just put them in the text area provided, and please do provide us with some information as to what inspired you to do this! Be a monk 7-day Challenge (MEN, 24 June 2019 - 30 June 2019)The Veda course 3 month residential (WOMEN, 4th March 2019 - 27th May 2019)The Veda course 3 month residential (MEN, 20th May 2019 - 6th Aug 2019)The Sabbatical 6 month residential (WOMEN, 4th Feb 2019 - 4th Aug 2019)The Sabbatical 6 month residential (MEN, 24 Sep 2019 - 20 May 2020)These dates don't work for me - do you have more?